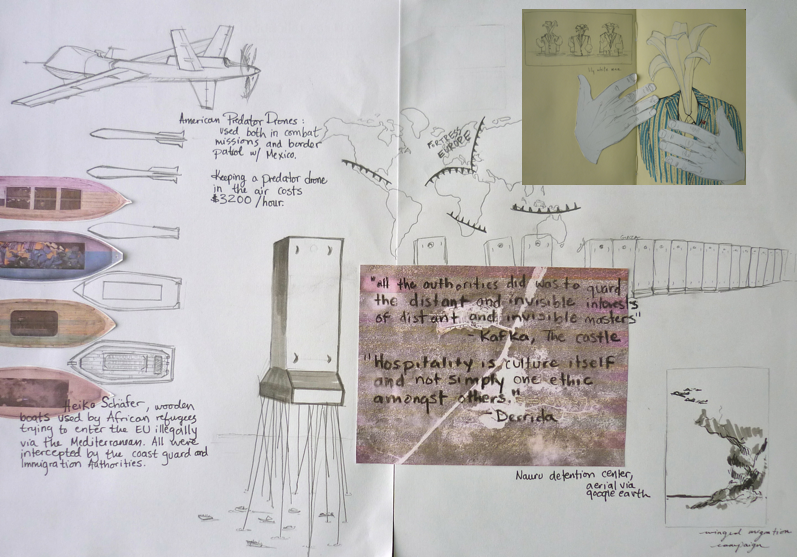 For my final project I will be using the contemporary architecture of ‘illegal’ migration- the walls, checkpoints, detention centres and armoured boundaries that carve the world into more and less privileged fragments- to explore the concept of refuge. I hope to interrogate these borders that exist in both physical and mental space from a critical perspective of subversion and resistance; as the migrant in search of an unbuilt city of refuge. This project will take the form of an artist’s book, incorporating both text and visual elements in critical dialogue with these themes.